House and Senate Republicans have almost universally refused to to speak out against threats by President Donald Trump to fire Attorney General Jeff Sessions and/or Special Counsel Robert Mueller. Or to take action to prevent or punish Trump for doing so. 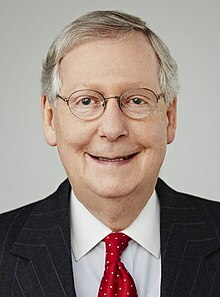 On April 17, Republican Senate Majority Leader Mitch McConnell said he would not allow legislation to protect Mueller’s independent investigation into Russian subversion of the 2016 Presidential election to reach the Senate floor. On November 14, McConnell rejected another chance to protect the Mueller investigation. Republican Arizona United States Senator Jeff Flake introduced a bill to make it harder for the Trump to fire Mueller—and allow the special council to appeal his firing. McConnell claimed such legislation was unnecessary—and that he hadn’t heard Trump or others say they want to shut down Mueller’s probe. Appointed Sessions’ deputy, Matthew Whitaker, as acting Attorney General. Whitaker had publicly attacked the investigation and urged its suppression. Because many House and Senate Republicans received millions of dollars in “campaign contributions” from Russian oligarchs who are answerable to Russian dictator Vladimir Putin. One major Russian contributor is Len Blavatnik, whose net worth is estimated at $20 billion. In 2016, he gave $6.35 million to GOP PACs. A total of $1.5 million to PACs associated with Senator Marco Rubio (Florida). $800,000 went to the Security is Strength PAC, associated with Senator Lindsey Graham (South Carolina). McConnell participated in high-level intelligence briefings in 2016. The FBI, CIA and the code-cracking National Security Agency, warned that the Russians were trying to subvert the electoral process.